National Chicken Wing Day is this upcoming Sunday, July 29, 2018 and both Buffalo Wild Wings and Wingstop has a deal to help celebrate the occasion. - Buffalo Wild Wings (dine in-only) - Free snack-sized order of wings with the purchase of any small, medium or large order of wings on July 28, 2018. 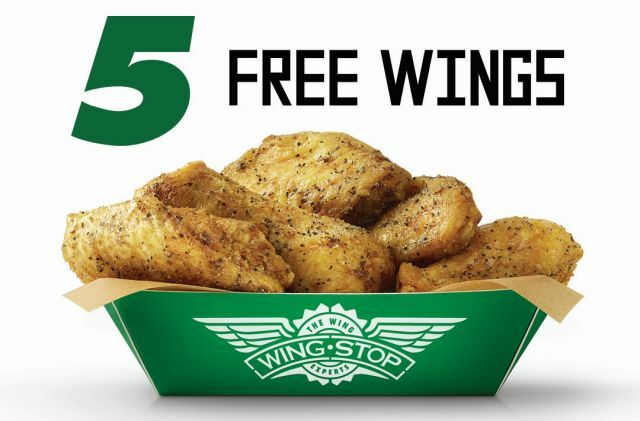 - Wingstop - Five free wings (boneless or classic) with any in-restaurant purchase on July 29, 2018. Additionally, Spicy Korean Q will remain permanently on the menus nationwide.